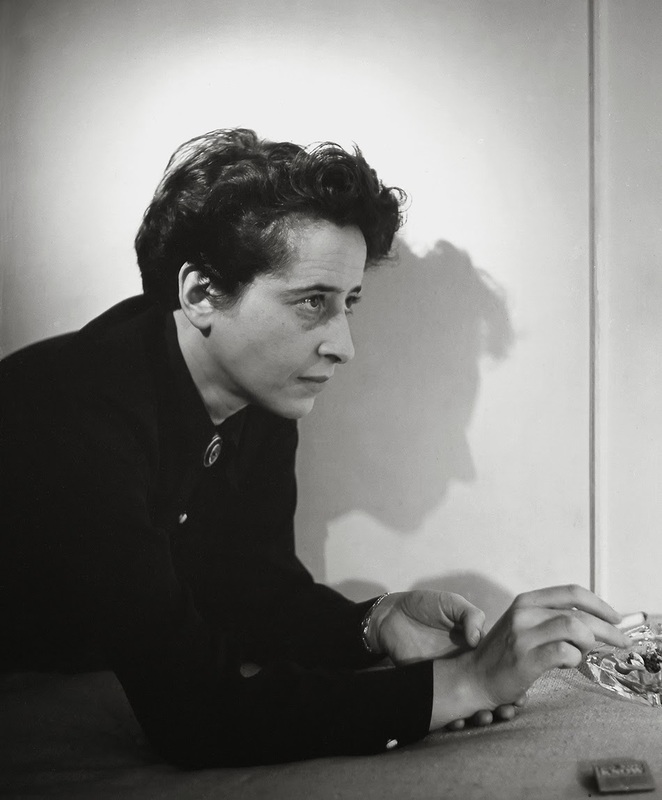 When the influential German-Jewish philosopher and political theorist Hannah Arendt reported on the 1961 trial of ex-Nazi Adolf Eichmann for The New Yorker, it caused an outrage. Its subsequent publication as Eichmann in Jerusalem: A Report on the Banality of Evil, which included a provocative postscript wherein she commented on the implications of her report, only compounded the controversy. Arendt’s critics were most upset about her portrait of Eichmann and her views on the Jewish councils organized by the Nazis. She regarded Eichmann as a pathetic little pen-pusher, a hapless clown in a glass booth, and not as a fanatical ideologue who hated Jews. Although her material on Jewish councils was only about a dozen pages and threaded throughout the book, many of her critics took umbrage at her suggestion that Jewish leaders failed to use their power to protect Jews. Given that Eichmann, in his shabby and insidious mediocrity, spoke in cliches and bureaucratic jargon during the trial, he was for Arendt representative the personification of true evil. As she remarked in her postscript, Eichmann “was not Iago and not Macbeth”—no villain doing evil out of villainy since “he never realized what he was doing.” (The italics are in the original.) Neither perverted nor sadistic,” was how Arendt described Eichmann, but “terribly and terrifyingly normal.” Arendt argued that Eichmann was flawed because he could not think. Conversely, she implied that had he possessed that quality, he would never have committed barbarous acts, an implication that underestimates the torque of ideology, disregards history and ignores individual and collective psychopathology. The cautious bureaucrat, yeah, that was me….But joined to this cautious bureaucrat was a fanatical fighter for the freedom of the Blut I descend from…. What’s good for my Volk is for me a holy command and holy law….I must honestly tell you that had we…killed 10.3 million Jews I would be satisfied and would say, good, we’ve exterminated the enemy….We would have completed the task for our Blut and our Volk and the freedom of nations had we exterminated the most cunning people in the world…. I’m also to blame that…the idea of a real, total elimination could not be fulfilled….I was an inadequate man put in a position where, really, I could have and should have done more. Arendt was familiar with some of this material. After Eichmann was kidnapped and brought to Israel for trial, Sassen assembled excerpts from the interviews and sold them to Life magazine which appeared in two issues, November 28 and December 5, 1960. Arendt refers several times to these excerpts and even quotes from them – notably where Eichmann admitted his admiration for Hitler – but she does not include in her New Yorker piece or in Eichmann anything that reveals Eichmann’s fanaticism. 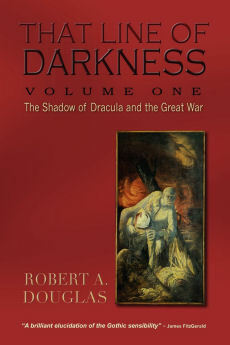 A reader will not find: “I will gladly jump into my grave in the knowledge that five million enemies of the Reich have already died like animals,” or, “No, I must say truthfully that if we had killed all the 10 million Jews that Himmler’s statisticians originally listed in 1933, I would say, 'Good, we have destroyed an enemy. '” But this evidence would have forced Arendt to reassess her thesis that Eichmann embodied the banality of evil, a phrase that would become a cliché and one she later would regret deploying. I do not wish to imply that Arendt was in way exculpating Eichmann. She did not defend him. She was horrified by the chasm between the seemingly ordinariness of the man and the magnitude of his crimes that included deporting and organizing death marches of Hungarian Jews. She rejected his defence that the only alternative to following orders was to commit suicide as a “lie” unsupported by the evidence. In this instance, later historical research notably by Browning has substantiated her assertion. Anyone who objected to the killings could be shamed and sent to the eastern front, no small matter, but no SS officer or soldier was shot for refusing to participate in the killings. Eichmann knowingly committed mass murder, remained unrepentant and loyal to the Nazi goal to the end. As a result, Arendt supported the death sentence meted out to him by the court. Arendt’s credibility in offering an eye-witness report is undermined by her absence for much of the trial. According to Lipstadt, she was present when the trial began on April 11, away on May 10 and remained on vacation for five weeks. As a result, she never heard the cross-examination of Eichmann nor observed how his demeanour changed when under attack. Otherwise, she might have noticed what other reporters who were actually present noted: Eichmann’s “passion and rage,” when irritated, his “voice sharpened, the cold snarl, the bark that many of the witnesses remembered was there beneath the hollow mask.” Because Arendt did not witness these scenes, she was hoodwinked by Eichmann’s posturing, his playing the role of the clown. She might have been also handicapped because of the emphasis she placed on thinking and conversely Eichmann’s inability to think, which in her mind explained why he committed evil acts. Perhaps Arendt should have valued more the capacity for insight, the ability to not accept at face value what another person was saying but to be able to read his character. How then does director Margarethe von Trotta adapt Arendt’s account and the later scholarly research into her 2013 film Hannah Arendt? 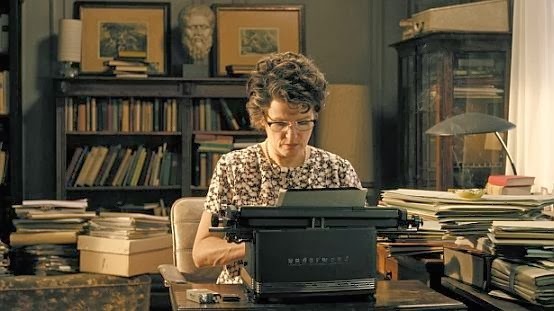 The results are mixed; Hannah is an intelligent but flawed film, mistakenly described by some critics as a biopic since von Trotta decided to focus on a small slice of Arendt’s life from the kidnapping of Eichmann in 1960 to the publication and aftermath of The New Yorker articles two years later. Von Trotta, along with her co-writer Pam Katz, provides a script that is mercifully free of the leaden prose that mars so much of Arendt’s writing. Its greatest asset is the award-winning performance by Barbara Sukowa who provides a strong, at times, compelling performance in the title role. She is ably supported by Axel Milberg, who plays Arendt’s second husband, Heinrich Blücher, with understated confidence. The film is a rigorous defence of Arendt’s position, which is both its strength and its fundamental weakness. Von Trotta demonstrates she has done extensive research. 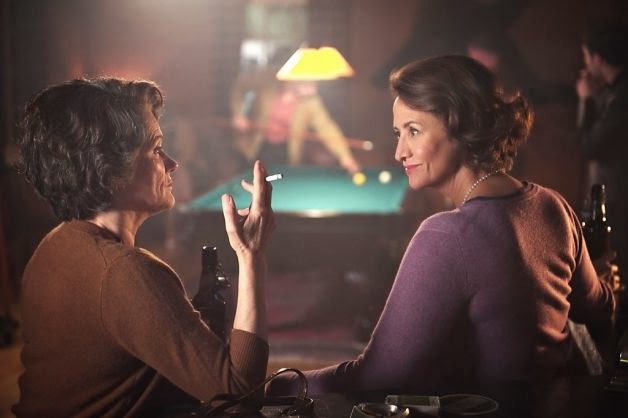 The exchanges between Arendt and her friend Mary McCarthy (Janet McTeer) are clearly based on their correspondence even though the script diminishes McCarthy’s breadth of intelligence by turning her into merely Arendt’s sidekick and vigorous defender. An early pedagogical scene conveys Arendt’s thesis about the power of ideology. She explains to students the deep-seated radical evil that derived from her book The Origin of Totalitarianism in which the purpose of the camps was to make the inmates feel superfluous as human beings. 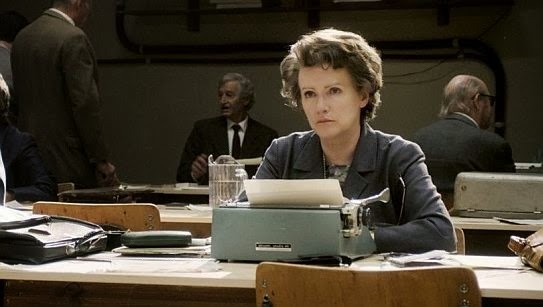 The classroom scene is effective because it is a reminder that Arendt had once believed in the destructive power of ideology and it serves as a bookend to the banality of evil concept that frames the latter part of the film after she travelled to Israel to cover the Eichmann trial. 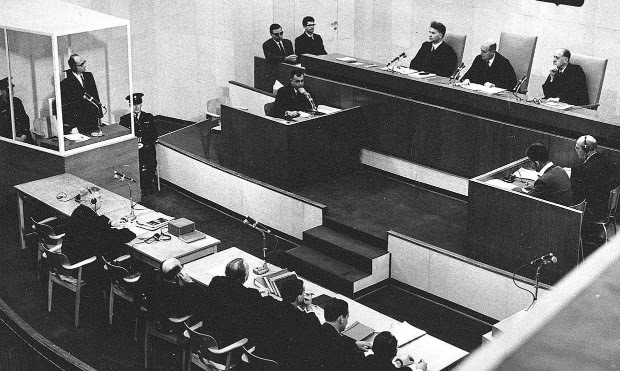 As she is evolving toward this idea, we observe Sukowa silently watching archival footage of Eichmann in which he does look like a ghost, a “nobody.” And the film does suggest that Arendt did not spend the whole time at the trial as she does seek out court records, but there is no indication of how much time she missed or that she never witnessed the cross-examination of Eichmann. Von Trotta unwisely decided to include a couple of brief flashback scenes between Arendt and her mentor and former lover, the philosopher Martin Heidegger, scenes that are silly and superficial without being illuminating; one is set in the 1920s in which an adoring Arendt listens in rapturous silence to her teacher Heidegger pontificating on the value of thinking. It is pretty obvious why von Trotta decided to include them: Arendt is philosophically indebted to Heidegger. But as a Jew who escaped from Germany after being arrested and briefly interned in France, Arendt is also conflicted about him. Heidegger did embrace National Socialism and after the war refused to repudiate it when he was given plenty of opportunity to do so. Arendt severed contact with Heidegger for seventeen years. When McCarthy in the film asks her to talk about Heidegger, Arendt remains silent. The exploration of the Heidegger-Arendt relationship merits a film on its own, but I would suggest another director undertake that task. Von Trotta also decides to take some liberties with the historical record; one scene is particularly problematic. Soon after the initial publication of Eichmann in Jerusalem, Siegfried Moses, an old friend of hers from Zionist circles in Germany before the war and Israel's first State Comptroller, made a special trip to Switzerland to request that she stop the book's publication in Israel. In the film, von Trotta moves the scene from Switzerland to the United States, and adds several menacing Mossad officers to the mix. What in reality was a scheduled meeting between friends is transformed by von Trotta into a ominous assault along a deserted road. Was this scene designed to be a faint echo of the opening scene when Eichmann is kidnapped in Argentina? Is von Trotta telegraphing her own negative feelings about the state of Israel? It also seems preposterous that the Mossad would send four men to America to issue a warning to an American author. 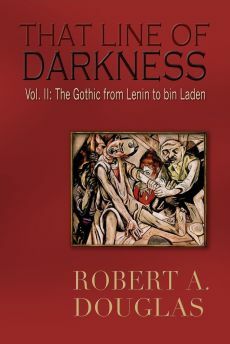 In reality the book’s publication in Israel, at least initially, received a more positive reception than it did in America. More importantly, it would appear that von Trotta was not aware of (or ignored) the Life extracts discussed above, material which would have complicated and likely enriched her portrait of Arendt. Had she been able to integrate them into the film, it could have resulted in a better film. Another director may have found a way to acknowledge Arendt’s lapses even if she (Arendt) could not. To be fair, von Trotta allows one of the New Yorker editors to read the offensive passage quoted above about the Jewish councils. But its purpose is only to serve as a warning to the editor, William Shawn, that its inclusion could result in subscription cancellations (which did occur). That passage might have been taken more seriously and segued into a more substantive debate between Arendt and her critics who deeply resented her implication that Jews collaborated with the Nazis. She could correctly argue that she was not the first to raise the Jewish leadership issue during the war. Instead of an exchange of equals, von Trotta turns Arendt’s American and Israeli critics—with one possible exception—into caricatures who plead, hiss, scowl or threaten to destroy her career. It is a one-sided argument in which she wins overwhelmingly. Yet for all my reservations, I found the film’s climax thrilling when Arendt speaks to an enthralled group of students and angry colleagues at a small liberal arts college. The seven-minute monologue is an eloquent summation of Arendt’s thinking that has evolved over the course of the film. But it never hints, much less acknowledges, that her views might be skewed or incomplete, or that reflection alone must be buttressed by insight and a readiness to treat with respect the arguments of others. What is most missing is the recognition that a thinking person is not necessarily inoculated against committing evil acts. Some true believers still believe, even after careful consideration, that the other must be eliminated because they pose obstacles to the realization of the healthy Volk, the communist radiant future, or any other expression of nationalist or ethnic unity.